Autism is more common than you might think. 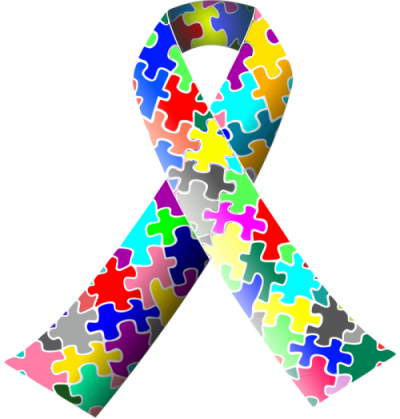 Worldwide, Autistic Spectrum Disorder, or ASD, affects over 1% of the population, meaning that for every 100 people there is one individual on the autistic spectrum. The number of diagnoses skyrocketed in the past few decades thanks to the effective monitoring and better diagnostic techniques. In 2018, 1 in every 160 children (in the UK) and 1 in every 59 children (in the US) has been diagnosed with ASD. Autism is a lifelong condition. It is usually diagnosed at early age and persists into an adulthood. The condition affects how people communicate with other people and experience the World. Traditionally we define the Autistic Spectrum Disorder by the triad of impairments: the difficulty with social interaction, social communication and imagination. That can be roughly translated into a person’s difficulty with processing language, “reading” other people’s emotions/ body language/ tone of the voice and understanding abstract language and indirect instructions. Many autistic people have repetitive behaviors and obsessions. They choose to do the same things over and over again and often focus on a particular subject they become quite an expert in! ASD is an umbrella term and covers a wide range of “symptoms”. No two people’s autism is the same. There are high functioning individuals that struggle with one particular skill, and, on the opposite end of the spectrum, there are people who are nonverbal (that’s about ⅓ of people with ASD) and need special care throughout their life. Although it is generally accepted that there is no cure for Autism, studies suggest that early intervention and therapy (starting at the age of 18 months- 2 years) dramatically increase the chances of the autistic children to learn the skills needed for the future life. A small number of children were reported to “outgrow” the ASD diagnosis (more details in this paper). 1% of the population is a huge number. That means autism is no longer a problem for an individual with ASD to deal with. It is the problem of the whole society. There is even a term for it, social model of disability. Yes, the healthcare professionals are getting much better at recognizing the condition but it is the society’s responsibility to accept and support people with ASD at school, work and in every other aspect of daily life. Every April people around the Globe take part in campaigns to raise public awareness and understanding of Autism. April is National Autism Awareness Month in the US. The first week of April is Autism Awareness Week in the UK and April 2 is World Autism Awareness Day. We at WonderDome would like to join the April campaign by sharing our experience of delivering planetarium shows to the children and grown-ups with ASD and other special needs. Hopefully, our example will encourage other educators and businesses to become Autism Friendly. Over the years our inflatable planetarium visited many SEN schools, live-in care facilities, mainstream schools with SEN units and inclusive classes. Our experience has been enormously positive and so was the feedback from our learners and their teachers and families. But at the same time we realize that many enrichment activities, like ours, are not available for the autistic and other SN learners. This works both ways! When autistic visitors know what to expect, they feel less anxious to try out a new activity. And when you know the particular needs and preferences of your learners, you can create the best experience for them! For example, we developed Autism-friendly pre-visit information pack that we send out prior to our visit. The pack contains the information about who we are, what is going to happen on a day, where everything is going to be put and what the rules/ expectations are. Most of our ASD guests are happy to join the show after reading the information at home. Others, who are still unsure, can get a short individual tour of the dome prior to their scheduled visit. When delivering a presentation to ASD audience, you want to avoid sensory overload. Less is more! Think smaller groups, quieter shows. Have ear defenders ready and leave your favourite immersive “too realistic” video out. Show your autistic guests where they can rest if things get “too much”. Never assume that your visitors operate on their age level. Talk to them (their teachers/ parents/ caregivers) first. Asking questions is a great way to find out how much they already know and what language/ difficulty level will work best. If still not sure, start simple and adjust the content as you go. It is great to see more and more places becoming Autism Friendly. Many museums have special programs for SN visitors (such as Early Birds in the Science Museum and programs and assistance for SEN visitors at the British Museum). Some cinemas ( Vue, Odeon and others) offer “relaxed” screenings with no adverts, lights on and quieter sound. Science and art centres and galleries often have sensory sessions, especially during the school holidays. There are even autism friendly theater performances! That’s an amazing first step towards a more inclusive society! Contact us if you would you like to learn more about our Autism Friendly Mobile Planetarium or book a SEN space show.